An electro-mechanical master key system, the Cyberlok is a hybrid product that combines the best attributes of conventional proximity or swipe card access control with those of a mechanical master key system. With an EKA CyberLock solution, it doesn’t matter where the lock is, electronic access control is possible. 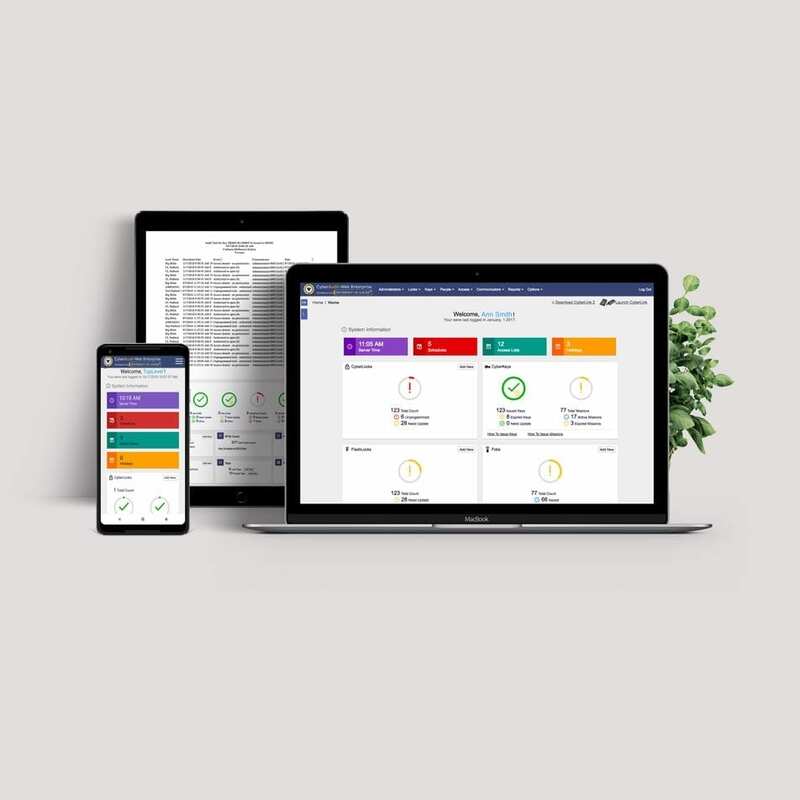 Management of the system is achieved effortlessly through an online interface which allows you to lock out users or grant new access. 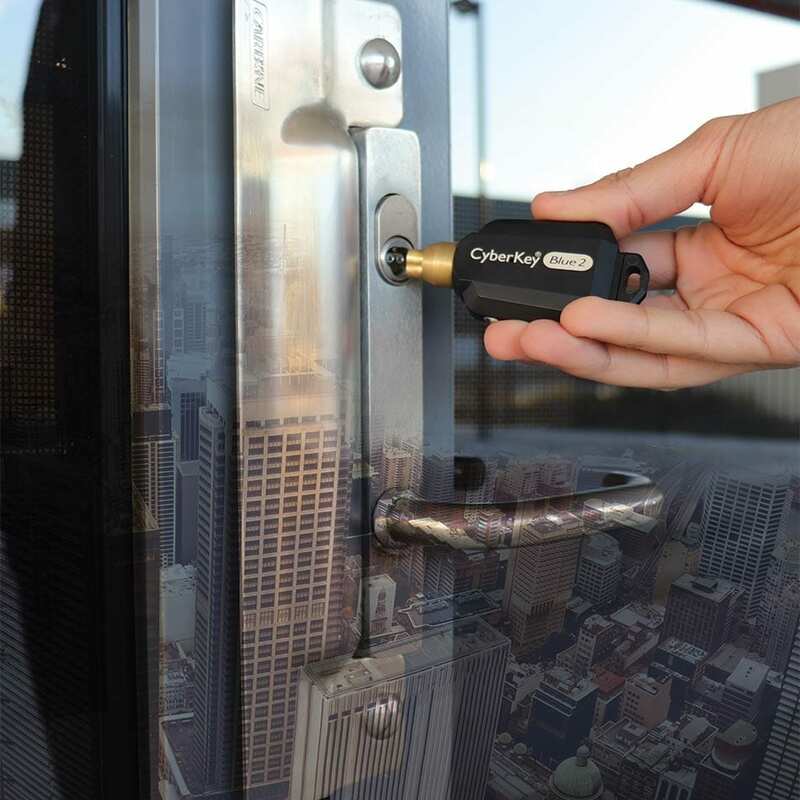 Unlike a mechanical based master key system where a lost masterkey might mean all your locks need to be rekeyed, with the CyberLock you’ll never have to rekey again as any key can easily be software configured to operate any lock. Other electronic systems require extensive infrastructure with physical wires connecting every lock to the central server which has to remain online at all times for the system to function. This involves a significant cost and limits the physical size of the network. With the CyberLock there are no wires and you can install a cylinder, even in a remote location many kilometres away from your main site. It could even be on a trailer or in a padlock. EKA locks are IP68 rated so they can withstand harsh weather conditions in peak operating conditions. Used by many government schools and Australia Post. 120,000 cylinders installed across Australia. Smart keys are programmable and loaded with the access profile of the key owner. The EKA CyberLock system has no wired connection to CyberLock cylinders or Cyberkeys. Mobile apps that communicate with Cyberkeys via a smartphone and Bluetooth. CyberLock cylinders have the same dimensions as regular mechanical cylinders. The cylinders require no permanent wired power. The Cyberaudit software is available in self-hosted or fully supported cloud applications.